It may be cliché, but successful businesses often start out in someone’s garage. It’s said that Amazon, Apple, Disney, Google, Harley Davidson and Nike all started in a garage before becoming household names. Could Fusion 3 be the next name to add to that impressive list? Maybe. 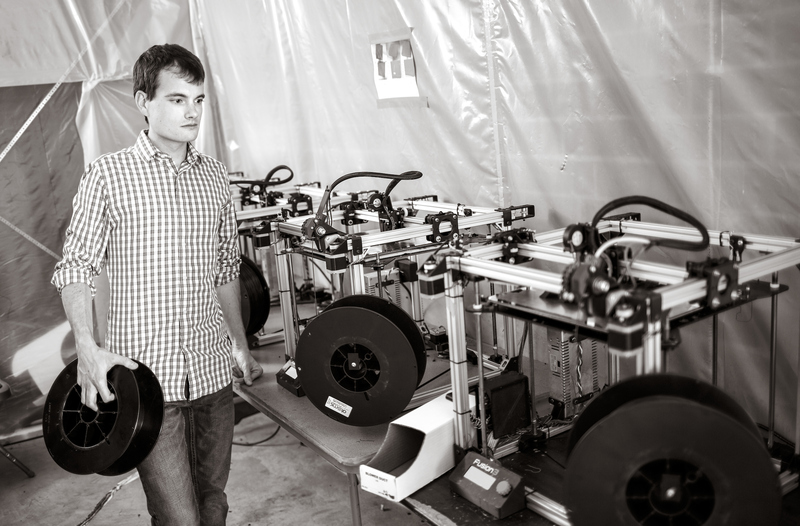 As a student at N.C. State, Chris Padgett saw an online article about 3D printing. As a mechanical engineering student, it piqued his interest, so he purchased some kits to put together as a hobby. 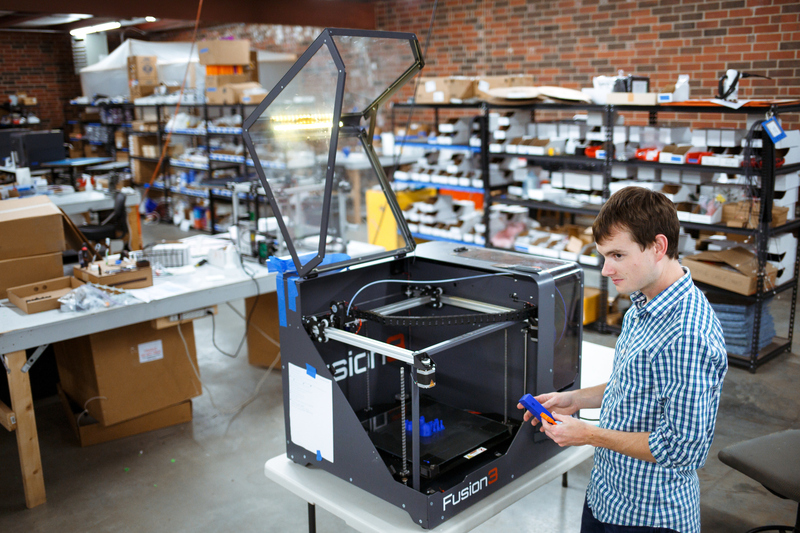 Chris, 28, instantly recognized the potential of this technology and that of a company that could produce an industrial 3D printer marketed to small and medium-sized businesses. Before moving from his parents’ garage to a permanent location, Chris went through the Triad Startup Lab and was an early member of the Forge. In fact, Chris has since donated a 3D printer to the Forge for the next generation of doers and creators. 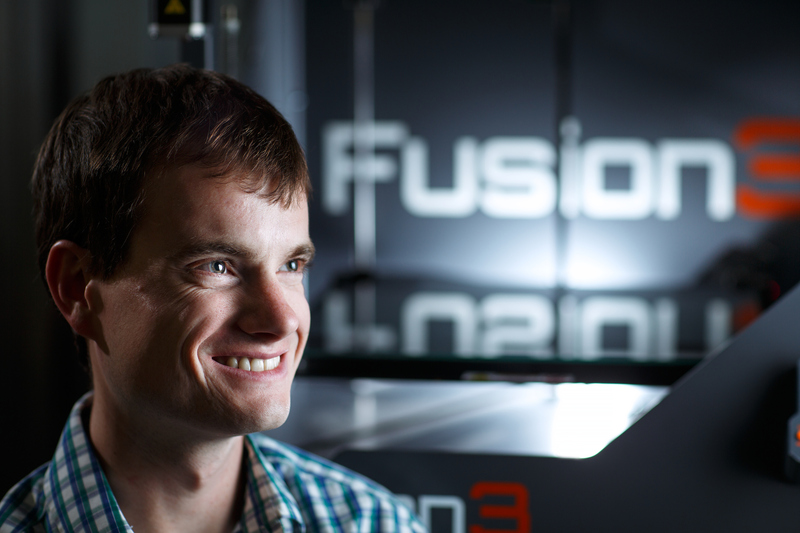 Fusion 3 is now working with local customers, machine shops and universities. Its suppliers are largely local, but its market now reaches all of North America and even overseas.